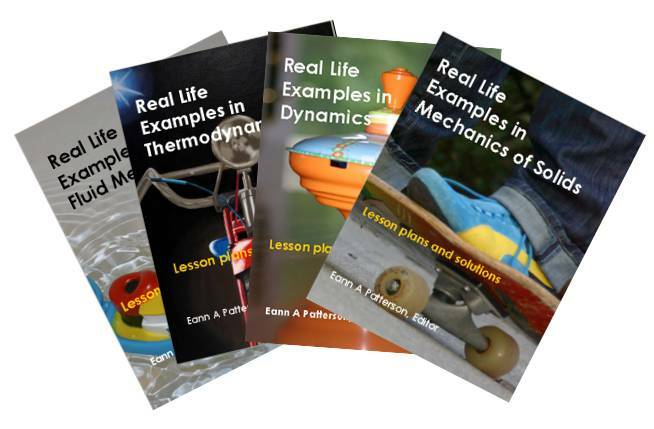 STOP PRESS – more than 100 Everyday Engineering Examples published in more than 40 lesson plans on a new webpage. Now back to Realizing Engineering – we live in an almost entirely engineered world. Engineers, as a profession, are so good at their job that most people are unaware of their influence on society. Look around you. Engineers will have designed the machines and transport infrastructure to supply most of what you can see as well as what you are probably sitting in and on. The Royal Academy of Engineering has produced an ebook to expand on this theme of ‘Engineering in Society’ for first year engineering undergraduates but I think its suitable for anyone considering a career in Engineering. This entry was posted in energy science, everyday engineering examples, fluid mechanics, mechanics, Thermodynamics, Uncategorized and tagged 5Es, dynamics, education, mechanics, Thermodynamics on April 23, 2014 by Eann Patterson.